MagniX has continued to advance the future of electric propulsion systems for aircraft, successfully testing a 350-hp all-electric motor. Its motor was tested with a propeller mounted on a Cessna iron bird as a demonstration of the company’s ability to use the all-electric motor on a commercial aircraft platform. The company expects to install a 750-hp propulsion system on a Cessna 208 Caravan by next fall. 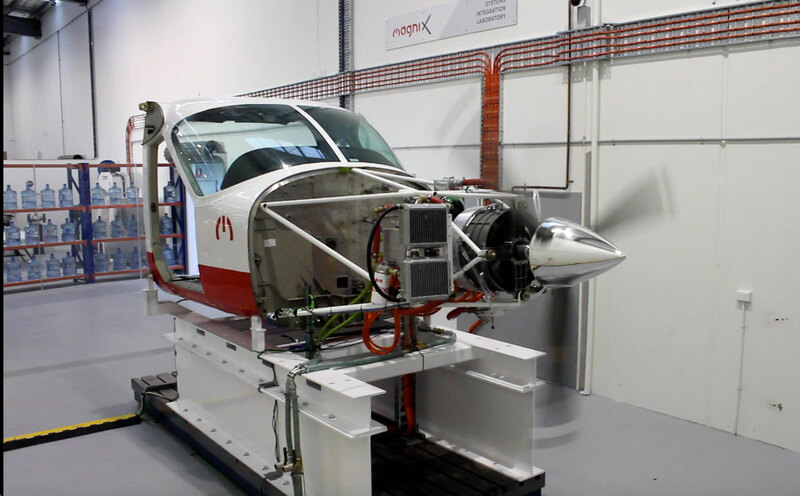 MagniX has dedicated an effort to use electric aviation to connect communities currently underserved in the middle-mile market—defined as 100- to 1,000-mile range. It said these areas will benefit from electric aviation’s ability to provide consumer travel and package delivery. According to MagniX, electric aviation will reduce operating costs while eliminating carbon emissions. The company estimates electric aircraft will fly up to 1,000 miles by 2024 and up to 500 miles by 2022. “From design to prototype, dyno test cell success to now turning an aircraft propeller, we are one step closer to powering the future of electric aviation,” said David Sercombe, chief design engineer for MagniX. This continued focus “will push us as an industry to transform aviation into its ultimate form: zero reliance on fossil fuel and zero emissions. With this milestone we bring the industry one step closer to fulfilling that vision,” he concluded.